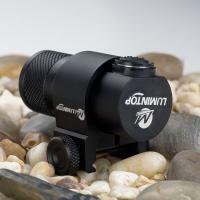 LC1C-2 Easy operate tactical switch: press for momentary-on, click to turn on/off; when the light is on, tighten/loose the head to switch modes (Low-Mid-High-Strobe-SOS), which cover from daily use to outdoor and professional use all you need. You will be marveLED at its negligible volume, weight, excellent high reliability & durability and exquisite workmanship. 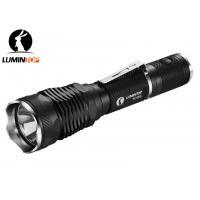 Not only that, made of high strength aerospace aluminum alloy construction, anti-scratching type HAIII military grade hard-anodized finish, IPX-8 waterproof (submersible to 2 meters) for weather resistance and impact resistance to 1.5 meters, the L1C is exceptional durable to withstand heavy tactical or outdoor use. We live for mass production, OEM & ODM! ---- We are strongly supporting dealer / wholesalers / OEM / ODM customers, providing quality guaranteed products with over 50% of MSRP as your handsome margin. Building relationship with us before Dec. 30th, 2017 will be rewarded extra discount based on above terms. --- Flexible Order Quantity: other manufacturer might require thousands of quantity to arrange mass production for you, while to meet our customer demands and consideration of customer's conditions for new products, our MOQ is the lowest to only 500-1000 PCS. 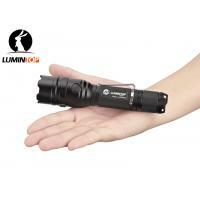 LUMINTOP is a professional manufacturer based in Shenzhen, China, since 2010, specialized in R&D, producing and selling flashlights all over the world. 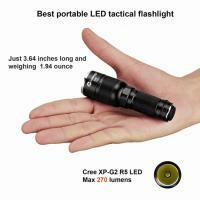 Product range covers various kinds of application: tactical lights, outdoor flashlights, Law enforcement light, portable flashlights, gift lights, dive lights, headlamp, searchlight and etc. 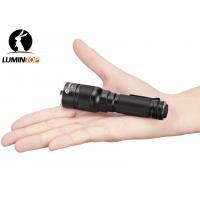 LUMINTOP has around 5000㎡of plant area, 100 staffs, 4 production lines, and tens of advanced equipments. To guarantee the quality of product and service provided to our customers, we control the whole supplying chain ourselves, from R&D of electric circuits, software development to sale and after-sale service. We always focus on customer’s demands and keep quality first. To improve our management level, and always keep high steady quality, we manage our company following with ISO9001 standards, and our products have been approved by CE certification and ROSH inspection. Our advantage is providing OEM & ODM service, you are more than welcome to consult and cooperate with us! Being your factory, you strength partner here in China, you have no worries about supplying source, just dedicate your time and energy to develop your local market, get substantial orders, we always will be your strong backing, together with you service our customers well, capture the market! Besides, we do support you to be our distributors on your market; we will provide you a good discount and perfect after-sale service. ● 30 days free replacement: LUMINTOP will replace or repair products with manufacturing defects within 30 days of purchase. ● 5 years free repair: LUMINTOP will repair the products free of charge within 5 years (accessories 1 year, products with built-in battery 2 years) if problems develop with normal use. ● Lifetime warranty: If repair is required after guaranty period, we’ll charge for parts accordingly. ● This warranty does not cover normal wear or tear, abuse, force majeure damage, or incorrect operation. 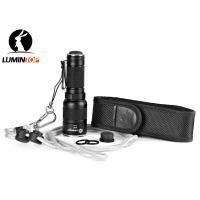 LUMINTOP is combination of “luminous” and “top”. 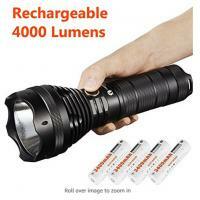 No need to speak more, yes, our target is to be one of the top leaders in flashlight field. As for the LOGO, it’s inspired by an artistic concept. A man was hiking in a dark night while the moon was hung in the sky near the horizon, suddenly a rabbit jumped out, it caused his alarm, and in a blink, he instinctively lighted on the rabbit with his flashlight, the rabbit got scared and became frozen, right at the view angle in which the rabbit looked like frozen in the moon, like the LOGO shows. That is how our logo born. Interesting, lovely story! The founder Mr. 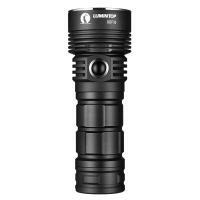 He of LUMINTOP is a hiker and off-road fancier, joined many sports like "Hundred-Mile Hiking" "Long distance ride" and "Tibet off-road driving", etc. In these sports, flashlight is an essential tool, but what made him and his friend fanciers disappointed was the flashlight lacked personality and aesthetic appearance. 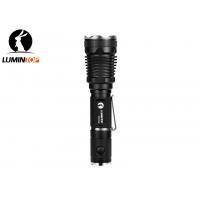 Then LUMINTOP was born, born for fanciers, specially produce high qualified, exquisite, cool, luxury, useful flashlights with unique style. 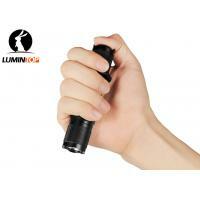 The founder united another 3 professional flashlights experts who already mastered the advanced technologies in the field at that moment, thus LUMINTOP formed. Until now, we have developed and produced many new special models welcomed by our customers, and got many patents. We have grown from zero to be one of the top brands in this field because of getting the strong support from our loyal customers, heartily thanks for their trust and support! We devote to provide you better products and service as always! Welcome to contact us, visit us, negotiate and build long-term steady WIN-WIN cooperation! 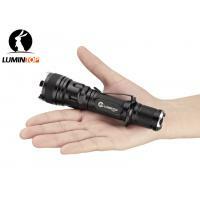 Choose LUMINTOP, choose the success!